Australia Open 2008... New Champion! If you have ever read any self help information or information about the mind, then you have probably come across the term "subconscious mind". This statement is thrown about so often, that people are familiar with the term "subconscious" but have little or no idea what it actually means. In this article we are going to be taking a brief look at what is an extremely complex and detailed subject. 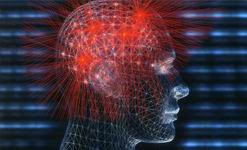 The simplest way to understand the subconscious is as a sleeping mind, that you have no conscious awareness of. 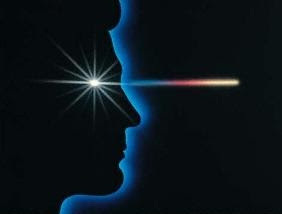 Your subconscious is constantly recording new information you obtain from the environment around you and stores it away. This means that everything you have ever seen, heard or experienced has been filed away somewhere in the depths of your subconscious mind. The information that has been stored in your subconscious forms your belief systems, which influence how you act as a person and the things you believe in. However not all information that enters the subconscious is equal. For example, your first 6 years of life will have the greatest influence on shaping your subconscious mind. This is because when you are born you must learn how to do things, and the way the world works from other people. Therefore the first people to have an influence on your mind are y our parents. After 6 years of age your subconscious now has a foundation of information to work with, and so in the future, compares all incoming information against what it already has. This means some information may be rejected, modified or added too. This tweaking process typically occurs during your teenage years, after which it becomes much more rigid, making it harder to alter. 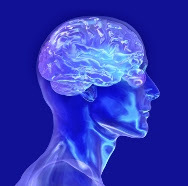 However it is possible to modify your beliefs in the subconscious after your teenage years, however it will likely take repeated exposure over a prolonged period of time in order for the subconscious to be modified again. So as you can see your subconscious mind is who you are, who you have been and who you will be in the future. It is influence by some information more than others, which makes up belief systems that are expressed in the way you live and act in your life. 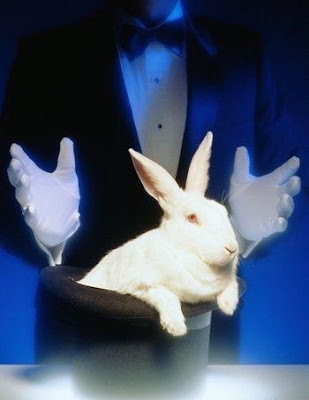 The power of your subconscious mind cannot be under estimated. Even though we do not fully understand how the subconscious works exactly, the power of it is undisputed. It is important to understand that both negative and positive thoughts have an effect on your subconscious mind. By continually dwelling on what's wrong in our life, our subconscious is fed with negatives, and we become gloomy. Just by being aware of what we think, read, and listen to, we can make a positive change. If you leave it, your subconscious mind will be like a garden that is unattended - the weeds will take over. You DO have control over this awesome power. And the really cool thing is that there is no rocket science needed to develop it. A practical method for feeding your subconscious mind with positive material is reading. Find an article, or book chapter about something that really strikes a chord with you - somthing that's really positive. Keep this this handy (bedsied drawer or on your desk), and read it regularly. You will be amazed at how easily you recall this material after only a short time. That is the power of your subconscious mind. 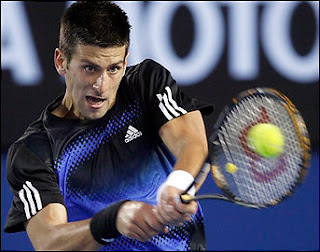 Serbia's Novak Djokovic beat unseeded French sensation Jo-Wilfried Tsonga to win his first Grand Slam title at the Australian Open. Having not dropped a set en route to the final, the world No.3 had to do it the hard way, firstly rallying from a set down and then also battling a hamstring strain that he suffered early in the fourth set to beat unseeded Frenchman Tsonga 4-6 6-4 6-3 7-6 (7-2). 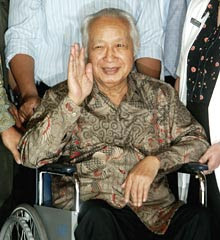 Indonesian ex-leader Suharto, 86, has died after suffering multiple organ failure for the second time this month. He died today at 2.10pm Malaysian time (0610 GMT) after slipping into a coma, doctors said. Once again, we have seen that when Roger Federer plays a half-decent oppon ent who refuses to choke, he has been defeated easily. All knowledgeable tennis analysts knew that Djokovic would crush Federer in straight sets today, the only surprise is that Federer played his best tennis and still lost so convincingly. 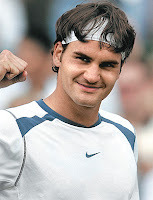 It of course goes without saying that Federer has finished winning Slams for good now. So, where does he figure on the all-time greatest list? The answer is, he doesn't. 12 Slams amassed in a ridiculously weak era, and he loses to his only main opposition when they eventually showed up. 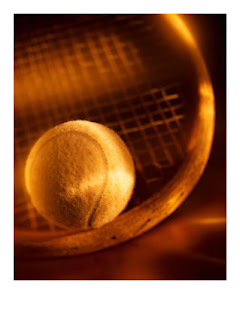 The transition in men's tennis is finally coming to an end. What a mouth-watering prospect of a final. A key pointer to the probable outcome may be each player's attitude to his appearance in the final. Tsonga has already climbed his personal mountain- he has made it past the World No 2 and will arrive in Sunday's final to a place in which he will feel very uncomfortable i.e. He will be asking himself "At this stage in my professional tennis career, do I really deserve to be out here?" Despite his calm demeanour in the semi he may marginally tighten-up with nerves and for instance fail to make those incredible drop volleys. Djokovic, has also climbed a mountain and overcome a personal bogey (Federer) but now will confidently believe that the title is there for him to take i.e. fate has determined that he is ready to take his first major. Nadal downed by unseeded Tsonga in QF!!! Nadal when he sits down to think about why he lost the semi-final may conclude he played the match as though it was being played on clay rather than the supposed intermediate-speed hard-court which since the upgrade has actually made it a tad faster- more like a grass court in speed. Thus patrolling about 5 yards behind the base-line was an error in tactics by Nadal allowing Tsonga to play drop shots and other volleys which he was unable to deal with. It also meant that often Nadal has to run much further simply to play the next ball which allowed Tsonga extra milliseconds to get to where he wanted to be for his next shot. 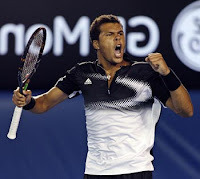 The ability of Tsonga to hit winners from behind the baseline was remarkable and a big advantage in this match. Secondly Nadal's serve is not good enough to get many free points - cf. Federer and Tsonga and in the women's game Sharapova & Ivanovic. Where next for Nadal? I would not bet against him winning the French Open. As of September 2007, more than 106 million blogs have been tracked which makes one wonder just what blogging is. Blogging is that wonderful world where you can write your personal thoughts about what you think on any subject imaginable, whether good or bad, with or without anonymity, although in reality anonymity really doesn’t exist when it come to the Internet. Your website, your email has an ISP address which is easily traceable to any given computer. In general, blogs are articles you write and post on the web for the entire world to see. 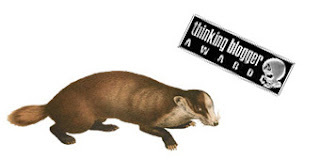 Your blog puts you, your thoughts in the forefront, which lets others see your brilliance or idiocy. You can have your own website dedicated to your thoughts, or you can respond to a particular article that has been written which allows you to voice your opinion about the subject or article, although use tact when responding. Most news media allowing you respond to a written article requires you to provide a valid email address in order for you to make a comment. Most subscribers to the Internet post their blogs on personal web pages or websites their ISP provides. 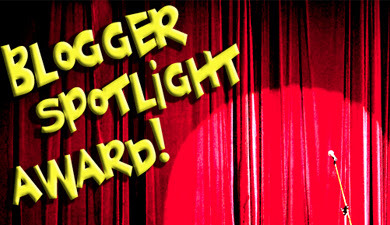 Other bloggers post their comments on the multitude of websites available for posting their thoughts, usually indexed by subject. To find a blog site, simply type “blog/s” in any search engine and behold you will find thousands of blog sites you can read or post. Methods for blogging vary which you should consider before doing any posting. Blogging in response to a particular article, as well as posting on dedicated blog sites are permanent blogs, in that they can not be changed once posted. With that in mind, you really need to think about what you want to say before posting your thoughts. It’s somewhat like making a comment, once spoken it can’t be undone. The other side of posting on an open blog site is the libel issue. 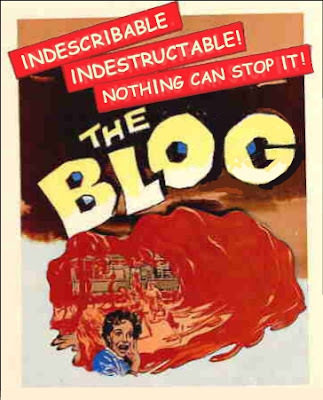 At present, blog sites are not libel for what you say, so use caution when blogging. The other method of blogging is to have your own website or page where you write your own blog. Using this method, you can edit your blog, write about another subject or simply delete the blog entirely. This method in my opinion is perhaps the safest method of blogging, but there is a caveat to this method. When you write something on your computer using a word processor and save the document, even if you delete the article, or document, it still resides on your computer and unless you completely reformat or destroy the hard drive, it remains on you computer forever. If someone wants to prove you wrote the article, with the proper software they can retrieve it. You may wonder if blogging is without peril. That depends. If you are blogging about your someone’s super fruit cake recipe, you’re safe, but if you’re blogging about a politician, an organization, the government, religious leaders, a company, an individual, you need to be careful about what you have to say, as you just might be libel. Presently, in most country, the courts are undecided about blogging, weighing in on the free speech side of the argument, however; individuals have been imprisoned and/or fined for their blogs. To be safe when blogging, it’s important to use the correct adjectives, or follow the method the news m edia use when writing an article. Words like; alleged, subject to, suspected of, and the like may keep you out of trouble. Although, innuendos you make can been seen as an attack, an accusation, by some very sensitive people and they just might decide to take action against you. Even when using safe words, that doesn’t mean you’re not going to suffer the consequences for your big mouth. Many countries have what is known as; The Right To Work Law, which simply means employers can fire an employee for any reason, or for no reason. Individuals have been fired from their jobs for posting blogs about their company. Many blogs are instructional in nature from how to grow a tree, wash a cat to building an explosive device. Here again you need to be careful. Those blogs about explosive devices just might cause a visit from a federal agency. Unfortunate as it is, when it comes to blogging, Big Brother Is Watching!!! Home theater systems are now extremely popular items within the average family home and quite literally, everyone is getting into the benefits that consumer electronics and home entertainment can provide. Thanks to some great advances in home entertainment oriented sound and video technology, it is now very easy to purchase and install a home theater system in your own home. DVD movies, high definition television and a fully surround sound stereo and audio system are all now what is considered the standard consumer electronics items for any home owner who loves to enjoy music, television cable or simply entertaining on the weekends. 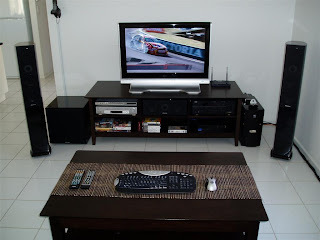 Researching the options for a home theater system is best done online. There are a myriad of home entertainment options available. All you need to do is conduct a search for the term “home theater system” and then visit the various online shopping malls that come up in the search. By researching such products through a shopping mall you can find out detailed specifications about the products and sometimes snag better than retail prices. But what to get? 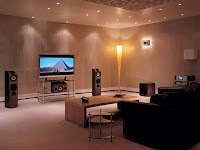 Home theater systems essentially consist of three main components: audio, video and projection. Some people prefer to just go out and buy all three at once in some sort of package deal – this can often work out cheaper. But often people don’t have the expendable income to do this so many brands are designed to allow you concentrate on purchasing one aspect (or module) of your home theater system at a time, until you have exactly what you want. Audio is just as important as the video because if you don't have a good quality audio system it will ruin your whole home theater and home entertainment setup. You can also purchase home theater systems in a box which will usually consist of all the parts that you need for home entertainment. These kinds of systems are great for those who want to setup their home theater systems in one or two steps, but if you put some time and effort into it you can save money on your system and get better quality all around at the same time. If you don’t know what you are doing, then look around at some consumer electronics suppliers will install for y ou for a fee. 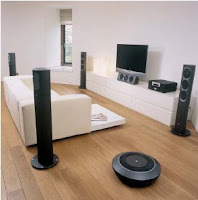 Home theater systems can be purchased by many online consumer electronic suppliers from the Internet. Do your homework and you will soon see that there are a large number of consumer electronic suppliers who will be only to willing to ship you out a great deal today on a new home theater system. Take your time though, because if you come across the right consumer electronic supplier then they will offer you free shipping and insurance and even 48-hour delivery on some home theater systems. Some consumer electronic suppliers will even offer free installation on a new home theater system and if you are a novice then why not take them up on their offer. Men and women have many differences and shoes are just one of them. A woman’s shoe isn’t merely a smaller version of man’s shoe. The design is different to allow for differences in the shape of the foot and weight applied to the heel. Men’s running shoes are generally stiffer than women’s shoes. This allows for more support and motion control whereas women’s shoes tend to be a little more flexible. For a long time, running shoe manufacturers specialized mainly in the construction of men’s running shoes and basically build scaled down versions for women. In recent years however, many manufacturers have taken to designing running shoes specifically for women which take into consideration the differences in the build of women’s feet. Since men of the same height tend to weigh more than women, men’s running shoes are designed to be tougher and have more cushioning in the sole to absorb the pounding caused by the additional weight. The heels are typically designed to absorb shock of greater intensity. These extra features tend to make the shoe stiffer which adds additional support for the male foot, but which can make it hard for a female to move and flex naturally while wearing. In general, the male foot has a broader forefoot than a woman’s. The female foot tends toward being angular. This shoe is constructed with triple layers and provides great fit and optimal comfort. These layers allow the foot to breathe and the midfoot is given extra support from the lacing design. The Nike Shox has bisected heel columns to allow each heel a smooth landing. This shoe provides excellent cushioning as well as impact protection. 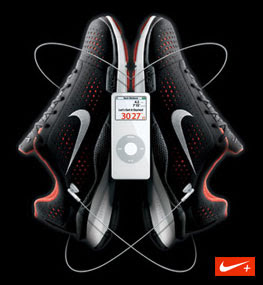 The Nike Shox offers the latest in sports shoe technology as well as old fashioned comfort. This is another high quality men’s running shoe. It is constructed of breathable materials which are fast drying. The material provides for maximum ventilation from both sides and it has an antimicrobial lining which limits the bacterial growth and cuts down on odors. This running shoe has a shock absorbing midsole with inserts and plates which reduce impact and protect feet. The rubber outersole is made from high traction rubber. If you find yourself reading this article online, then odds are you are no stranger to the vast wilderness that is the internet. Uploads, downloads, blogs, videos, podcasts, pictures, forums, games, news, email, animation, flash, webmail, webcams and music can all make for a vast and limitless real-time environment that is constantly changing. It is often the seemingly inexhaustible amount of resources that has many net users tearing out their hair due to strolling performance and extended loading time for content. However, in many cases, the real culprit is not the content or the website itself, but rather the combination of an ill-equipped connection speed and an internet plan that does not adequately address specific user needs. Before roaming free in the World Wide Web, every internet user must first choose a connection plan and connection speed that will be able to accommodate both their budget and their user needs. The following article seeks to outline some of the basic areas that novice users should address when deciding to connect to the internet. For some, it may seem like commonsense, but for those suffering easily avoidable headaches and long load times it may just make a world of difference. Before beginning it would first be wise to explain the two types of connection speeds and how they fundamentally differ. All methods of internet usage around the globe only use either one or the other of these types of connections. 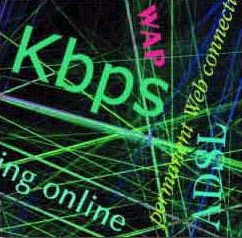 Kbps: Is the common acronym for ‘Kilobits per second’. A Kilobit is one thousand bits of data – a ‘bit’ being the most fundamental form of binary code that makes up all information available both online and on your home PC. Essentially, a ‘bit’ is the building block of all computer technology and communication. In layman’s terms it is simply the combination of 1s and 0s that form the language of computers. Mbps: A much larger unit of data, Mbps refers to the term ‘Megabits per second’. A Megabit is one million ‘bits’. This form of data transference is used by every internet connection above Dial-Up speed. Dial-Up: The most basic connection available, a Dial-Up connection uses the existing phone line in a business or household to transfer data at around 56Kbps. This is the slowest connection currently available in Australia and is in the process of steadily being outdated due to faster connections being more widely and readily accessible for a lower cost. ISDN: Is an Integrated Services Digital Network and is twice the speed (at 128Kbps) of Dial-up. It can be difficult to obtain due to its reliance on what is fast becoming outdated technology. ISDN was essentially the technological stepping stone between Dial-Up and ADSL. ADSL: Stands for Asymmetric Digital Subscriber Line, also most commonly referred to when the term ‘broadband’ is used, and is a one-way connection where the download speed is much faster than the upload speed. This is a common trap for the average consumer because the speed of the connection is always referenced in terms of the maximum download speed (i.e how fast a page loads up / time it takes to save a file), rather than the much slower upload speed (i.e how long it takes to send an email / send a file to another computer). Cable: The fastest connection available for both business and residential use (Fibre Optic connections, which are the next level up, are currently exclusive to business due to the high cost of installing and maintaining). Cable internet uses a similar system of connections to most pay television providers. It is completely separate to the household phone line and connection speed is substantially faster for both uploads and downloads. However, speed can be compromised by the number of separate households located in close proximity that use the same cable as only one cable is generally provided for a whole neighborhood. Generally cable runs at around 1.5 – 6 Megabits of bandwidth which is substantially faster than ADSL. To maintain a steady and consistently fast connection you need to take care in the selection of your plan. Having selected the telecommunications company with which you wish to subscribe for the service you then need to select a plan based on the cost of installing and maintaining your connection, the type of connection you wish to have installed, the speed of the connection, the download limit, if any, and the consequences if that download limit is exceeded. The download limit or ‘shaping’ of your plan dictates how much information you can access from the internet within a month before being subjected to either additional costs (which can be significant) or slower connections (usually Dial-up). If you are unsure of the amount of data which you are likely to download in a month make sure you select a plan that gives you sufficient download capacity to enable you to then monitor your usage without fear of exceeding your limit. Make sure that your plan is flexible enough to then change if your download requirements are either substantially less or more than you expected. “The one piece of advice that I would give for anyone looking to connect to the internet either now or in the future, above all, is to - read the fine print! The things to look out for are capped plans, download limits, shaping and especially ‘extra charges’. If you see anything that looks a little odd, always ask questions or consult an IT Professional”, concluded Mr Humphrys. About The Author: Karen Vosjan is the owner & operator of Domain Design, Australia's leading image driven portal featuring leading Architects and Designers, and showcasing their projects, and capabilities.